department. Interested candidates may get Application forms from selected post offices from 08th April, 2019 and submit filled Application forms on or before due date of 08th March, 2019 by 05.45 PM for PC, Fireman etc Jobs. Selection Process for TNUSRB Jail Warder Jobs, Fireman,Constable (PC) will be through the 3 stages. Maximum marks allocated for these stages are 100. Written test is for 80 marks which consists of 2 parts. Written test is an objective type OMR based test. 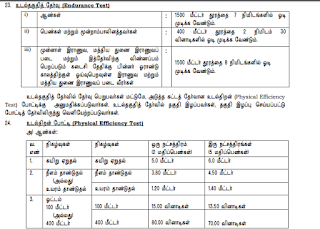 All details of Uniformed Services Recruitment Board Tamil Nadu Fireman, Jail Warder, PC 8826 Govt Jobs mentioned below. 1. Candidates may get Application forms for Fireman, PC etc Jobs from selected post offices from 08th March, 2019. 2. Submit filled Application forms for PC, Fireman etc Jobs on or before due date of 08th April, 2019. 3. Issue of TNUSRB Admit Card for Fireman, PC etc Jobs will be notified soon. 4. Tentative TNUSRB Written Exam date for PC, Fireman Jobs is May, 2019. As per Notification of Uniformed Services Recruitment Board of Tamil Nadu (TNUSRB), there are 8826 Jobs Available. Refer official notification to get District wise vacancies for Fireman, PC etc Jobs. Educational Qualification for candidates must be matriculation or tenth passed or its equivalent Qualification from a recognized university of Tamil Nadu or Govt of India. SCA, Scheduled tribe category candidates; 2 years for BC/MBC category candidates; Up to 45 years for Ex-Serviceman candidates. Candidates who will be selected for either Fireman Jobs or TNUSRB Jail Warder Jobs or PC will get the Pay Scale of Rs..18200/- to Rs.52900/- per month with Grade Pay of Rs.1900/-. 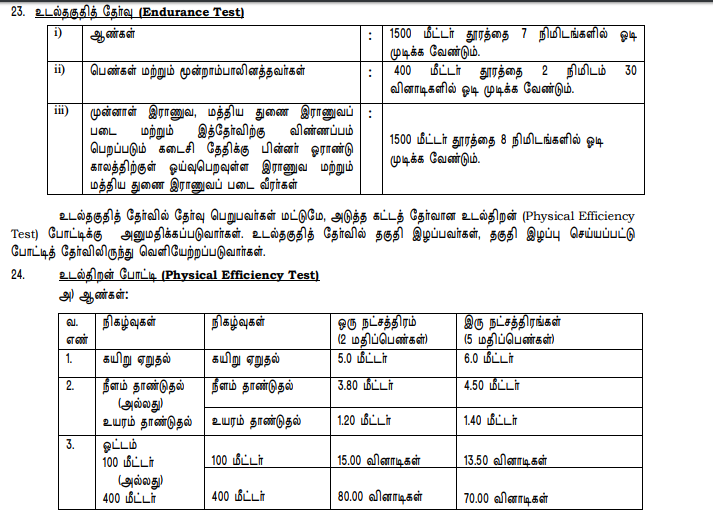 Selection Process for TNUSRB Jail Warder Jobs, Fireman, Constable (PC) will be through the following stages. Maximum marks allocated for these stages are 100. 4. Marks will be given to NCC/NSS/Games Quota candidates). of 2 parts. Written test is an objective type OMR based test. category candidates Height is 157 cms.